Our top-selling Henley Monogram Wardrobe - Embossed contains 3 different types of personalized stationery. 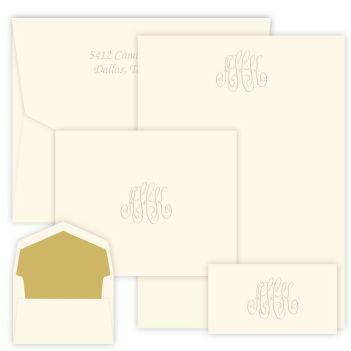 This item now includes your choice of 5 monograms crisply embossed onto each stationery piece. 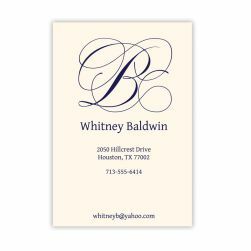 The letter sheets and foldover landscape gift enclosures are offered on our quality single-thick paper. 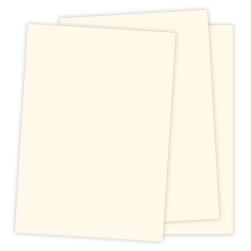 The accompanying folded notes include our standard double-thick paper stock. 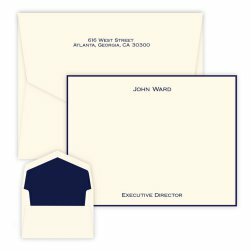 The optional return address and envelope lining upgrades are offered for the letter sheet and folded note envelopes.